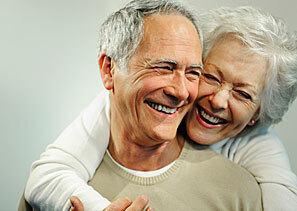 Concepts of a pleasing smile were initially developed to make dentures look more natural. These same concepts are now used to make smiles more aesthetic. 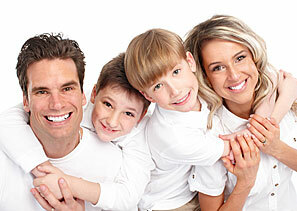 When a patient smiles, the contour and position of your teeth should be in harmony. 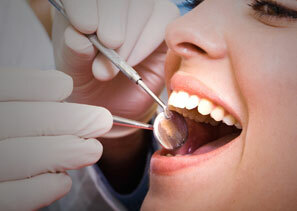 We are also dental implant and cosmetic dentistry specialists. To find out more see our improve your smile section. If you are missing one or more teeth, we can help. Depending on the number of missing teeth, the condition of the remaining teeth and your preference, teeth may be replaced by implant supported crowns/bridges, conventional bridges or removable partial dentures. To find out more see our improve your smile section. When dealing with extensive decay or gum disease, many people must use dentures to replace their natural teeth. To find out more see our improve your smile section. Veneers, Teeth Whitening, Reshaping teeth, Teeth Grinding and Night Guards. I have recently had a set of implant overdentures made at Dr O' Connor's dental clinic and I am delighted with them. I am happy to recommend this dentist. Dr O' Connor has just finished some aesthetic dental work for me, including some crowns and veneers and I am delighted with how they look. Thank you! Dr O Connor recently replaced my missing front tooth with an implant crown. The whole process from start to finish went very well and I was thrilled with the result. I would highly recommend Dr O Connor and his practice to anyone.